Produced by a company in Italy specialising in producing quality pesto sauces, already popular in most supermarkets across Italy. 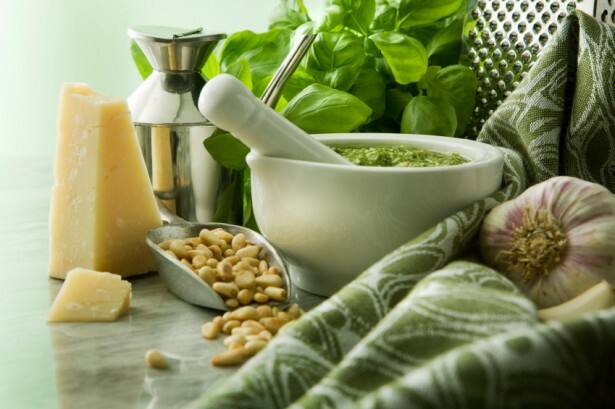 Their sales success is the result of the passion and the method in which each recipe of Nord Salse is prepared: carefully selected PDO Genovese Basil, quality ingredients and packaged in glass jars to preserve the freshness of the product. The wide variety of sauces come packaged in 120g jars, using a carefully selected range of ingredients: the exclusive use of extra-virgin olive oil, Grana Padano cheese and pine nuts ensures a high quality pesto sauce. The pesto sauces are produced in many variations, as well as a pesto without cheese and pesto without garlic (suitable for children) to appeal to those with dietary requirements. All sauces are available in catering tubs. Two new sauces are: Pesto with Truffles and Pesto with Pistachio have been launched this year. This is an ideal range of new pesto sauces not yet found in the UK and ideal for private labelling.